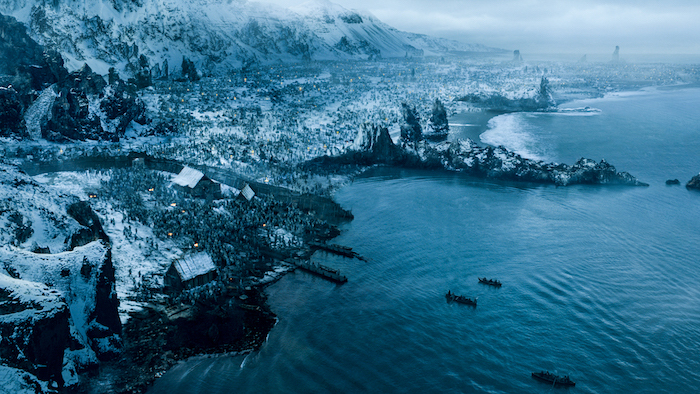 As the final season of fantasy drama Game of Thrones begins, Becky Wiggins selects the top cruises for exploring the settings of the Seven Kingdoms. The castle of Sunspear is the jewel in the crown of Dorne, the southernmost part of the Kingdom of Westeros, and the ancestral seat of Clan Martell. The ornate courtyard gardens are where Prince Oberyn Martell and his inner circle plot the downfall of the Lannisters. The setting for the castle is the real-life royal palace, Real Alcázar de Sevilla, in the centre of this seductive city, whose port, Cádiz, was once the gateway to the New World. The lavishly decorated palace is one of the must-sees in this modern city that boasts cycle ways and pretty winding streets next to imposing Gothic structures and Baroque churches. Las Ramblas and Barcelona’s Gothic Quarter, or marvel at Antoni Gaudi’s architecture. The cruise finishes in Lisbon, with an overnight stay, and plenty of time for a tour on the Tagus river to the Glória Funicular, which takes you to the hilltop suburb of Bairro Alto; or visit the Jerónimos Monastery and Belém Tower, both UNESCO World Heritage Sites. 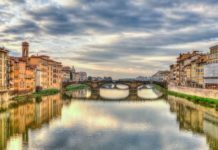 A 13-day Western Mediterranean Explorer on board Viking Sky, departing 4 December, starts from £3490pp, two sharing, including flights, 10 guided tours and all meals on board (020 8780 8700; vikingcruises.co.uk). King’s Landing is the capital of the Seven Kingdoms and home to the steps of the Great Sept of Baelor, site of Cersei Lannister’s legendary naked ‘walk of shame’ from series five. Although initially shot in Malta, by the second series most of the scenes featuring King’s Landing were being filmed in the narrow, cobbled streets of Dubrovnik. Queen Cersei’s elegant Baroque staircase is actually the Jesuit Staircase leading up to the Jesuit Church of St Ignatius and the Jesuit College. The terracotta-tiled rooftops of the 12th-century fortified town of Dubrovnik – the ‘pearl of the Adriatic’ – glow orange in the Croatian sunshine against a backdrop of glittering turquoise sea. It’s the perfect town for wandering: from the historic Pile Gate, past the elegant Corinthian columns of the Sponza Palace to the 15th-century Onofrio’s Fountain and the breathtaking Baroque Church of St Blaise, there’s so much to discover. Art lovers will appreciate a stop at the Dominican Monastery to see the incredible collection of Renaissance paintings. Princess Cruises’ Emerald Princess sails a captivating itinerary from Rome to Barcelona, visiting Dubrovnik, and also calling at the brooding and atmospheric town of Kotor in Montenegro, surrounded by towering cliffs and situated at the head of Boka Bay, southern Europe’s longest and deepest fjord. The ship then heads towards Greece, visiting Athens, where the ancient archaeological marvel, the Acropolis, is a must-visit, along with the fascinating clutch of museums, and as a contrast, the bustling tavernas, cafés and shops of the modern city. Gorgeous Santorini boasts beautiful white buildings scattered across the cliffs towering above the caldera like snow on a mountaintop. Twin towns Oia and Fira both brim with whitewashed dwellings and cobalt-blue domed churches, and further afield there are sun-drenched black sandy beaches and seaside tavernas bursting with delicious local cuisine (the Santorini salad is a must-try). Katakolon is a pretty port town, but also the home of the ancient site of the first Olympic Games, including the Temple of Zeus, one of the Seven Wonders of the World, and next are the pretty beaches and picturesque port of the idyllic island of Corsica. Finally, the charming little southern French port of Sète is a lovely, chilled place to explore. If you don’t fancy the transfer to lively Montpellier, take a wander to the lighthouse, or soak up the sun in a café by the canal. 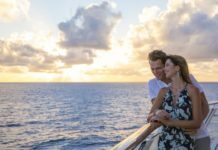 An 11-night Grand Mediterranean cruise on board Emerald Princess, departing 2 October, starts from £1298pp, cruise only (0843 174 2261; princess.com). The seat of the King of the North and ancestral home of House Stark, it was the site of the iconic battle which saw Jon Snow and Sansa Stark fight to regain control of Winterfell from the Warden of the North, Lord Ramsay Bolton. 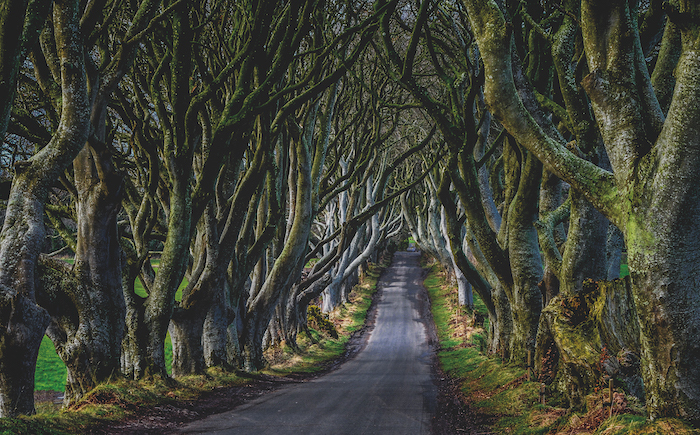 Over the first seven seasons, more than 25 different locations in Northern Ireland feature in the Game of Thrones episodes. The 18th-century mansion house of Castle Ward occupies an elevated position with stunning views over Strangford Lough, the largest inlet in the British Isles. The castle is set in a lush, walled demesne covering over 820 acres of gardens and woodlands. Unearth the history and culture of the British Isles with Norwegian Cruise Line’s British Isles Heritage itinerary. Sailing from Southampton, discover the sights of Edinburgh: walk along the Royal Mile to the Palace of Holyroodhouse to see Holyrood Abbey and Queen Mary’s chambers, or explore the majestic Edinburgh Castle (and don’t leave without sampling some of the capital city’s buzzy food scene). There’s time to roam the beautiful Scottish Highlands with a stop at Inverness, and to delve into the Neolithic history of the mystical Orkney Isles with a stop at rugged Kirkwall, Orkney’s largest island. Immerse yourself in one of Europe’s largest art collections at the Kelvingrove Art Gallery and Museum in Glasgow, or discover the urban chic bars, shops and restaurants of the modern city centre. From Belfast the cruise will continue on to Holyhead, where you can visit the truly awesome Conwy Castle, or experience the raw beauty of Snowdonia – the largest national park in Wales – and the charming Italianate village of Portmeirion on the coast of north Wales. Southern Ireland then beckons, with stops at both Dublin and Cork, before returning to Portland, from where the intriguing site of Stonehenge is well worth a visit, along with the attractive cathedral city of Salisbury. A 12-night British Isles Heritage cruise on board Norwegian Spirit, departing 21 July, starts from £1499pp, based on two people sharing (0333 336 1472; ncl.co.co.uk). Formerly occupied by the Baratheon and Targaryen kings, The Red Keep holds many secrets and has been the site of weddings, imprisonments, murders and executions. Malta’s capital, Valletta, is breathtakingly pretty and 17th-century Fort Ricasoli, with its distinctive plaited entry gates did duty for most of the first series as The Red Keep. Valletta is a joy to explore, with ancient churches, statues and fountains around every corner – all in the distinctive honey-coloured stone of the area. Take a tour of the famous Upper Barrakka Gardens, and you’ll spot Fort Ricasoli across the Grand Harbour. 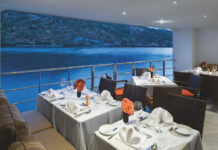 Silversea’s Silver Whisper will whisk you from cosmopolitan Barcelona to Athens in style, visiting the Vieux Port of Marseille, sophisticated Monte Carlo, and picturesque Porto Venere, where it’s just a short journey to the delicately stacked candy-coloured Ligurian houses of Cinque Terre. An overnight stay gives you the opportunity to discover Sorrento: often seen as little more than a gateway to Pompeii, there’s more to this colourful town perched on the cliffside. Explore the harbour or wander the winding stone streets to the central Piazza Tasso, perfect for people watching with an espresso. 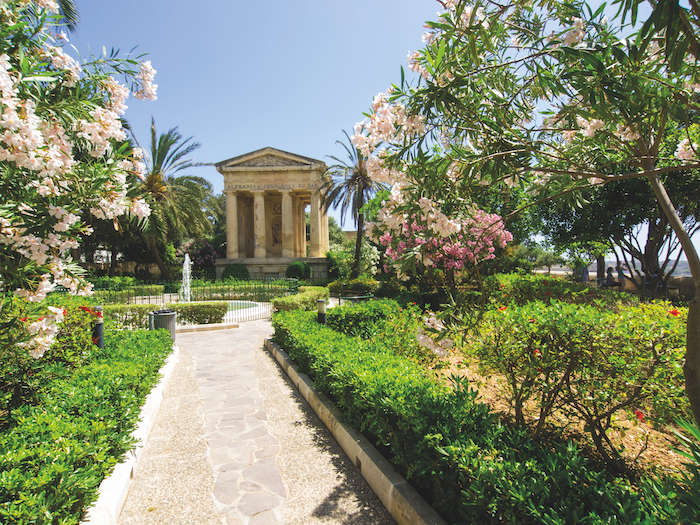 Siracusa, in beautiful Sicily, boasts both a modern city centre and a quirky Baroque old town perfect for exploring. And after treading in the footsteps of the Knights of St John in Valletta, there’s a well-earned sea day before visiting Hydra, bolt hole for well-to-do Athenians, known for its sweet cobbled streets and whitewashed houses, then Santorini and finally the epitome of ancient verses modern: Athens. 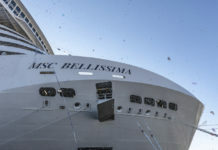 A 12-day cruise on board Silver Whisper, departs 18 July from Barcelona to Athens (Piraeus), from £7,600pp including flights (020 7340 0700; silversea.com). The astonishing landscape of Iceland lends itself perfectly to portray the frozen lands ‘Beyond the Wall’, rumoured to be the original lair of the White Walkers as well as the home of the Free Folk. From the otherworldly lava fields and caves (one, Grjótagjá, the setting for Jon Snow and Ygritte’s famous love scene) to the seemingly endless snow and ice of the glaciers, Iceland is a place of inescapable beauty. Join P&O Cruises for a suitably adventurous itinerary on board Ventura from Southampton, taking in the natural beauty of Tórshavn in the Faroe Islands: a fascinating opportunity to explore traditional villages and glimpse the wild beauty of the seascapes and mountains of this group of islands sandwiched between Norway and Iceland. The charming Icelandic port of Akureyri boasts more striking volcanic scenery, cascading waterfalls and, of course, a Game of Thrones excursion, while the fishing port of Ísafjörður offers plenty of opportunity for outdoor activities perfect for soaking up the beauty of the West Fjords. An overnight in cosmopolitan Reykyavik will enable you to experience the majestic glaciers and bathe in the famous Blue Lagoon; while the galleries and museums of former European City of Culture, Glasgow are a treat for art lovers. Finally, discover the city sights of Belfast: visit Hillsborough Castle – the official Northern Ireland residence of HM The Queen and the Royal Family – or explore the glens and the impressive Giant’s Causeway. A 14-night cruise on board P&O Ventura (N916), departing 23 June, from £1,199 pp, based on two sharing on a full-board basis (0843 374 0111; pocruises.com). At the very beginning of series two, Arya Stark, disguised as a boy, escapes King’s Landing and travels the eerie Kingsroad on the back of a cart, the same road that sent her father, Ned Stark, to his death. The spellbinding tunnel of beech trees lines the road to Gracehill House in Stranocum, Ballymoney, Co Antrim, and was planted more than two centuries ago. Stretching from Belfast, just under an hour away, to Londonderry/Derry, the causeway coast takes in some of Northern Ireland’s most dramatic scenery, including the whimsical beauty of the Giant’s Causeway and the fairy-tale Glenarm Castle. If you’re visiting the Dark Hedges, make sure you pick up some delicious local fish and chips from Morton’s in nearby Ballycastle (expect long queues in the summer). You can combine a visit to discover the vibrant culture and rich history of Ireland with the dramatic landscapes and natural beauty of Iceland with Celebrity Cruises’ unique itinerary. There’s plenty of craic to be had in the friendly pubs and restaurants of Dublin, before sailing north to Belfast. Get goosebumps as you listen to the emotional story of the legendary RMS Titanic at the award-winning visitor experience, or take a compelling (and a trifle unnerving) tour of the Crumlin Road Gaol. Set sail to explore the glaciers, geysers and hot springs of Iceland, with ports of call in both Reykjavik and Akureyri, before heading to the lively city of Cork to wander the easily accessible city centre. 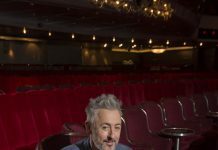 Visit the Crawford Gallery to learn more about some of the celebrated Irish artists, or discover the sights, smells and tastes of the famous English Market, before finally returning to Dublin. 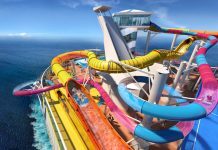 An 11-night cruise on board Celebrity Reflection, departing 3 June, from £2,670pp, based on two sharing, including flights (0800 441 4057; celebritycruises.co.uk). 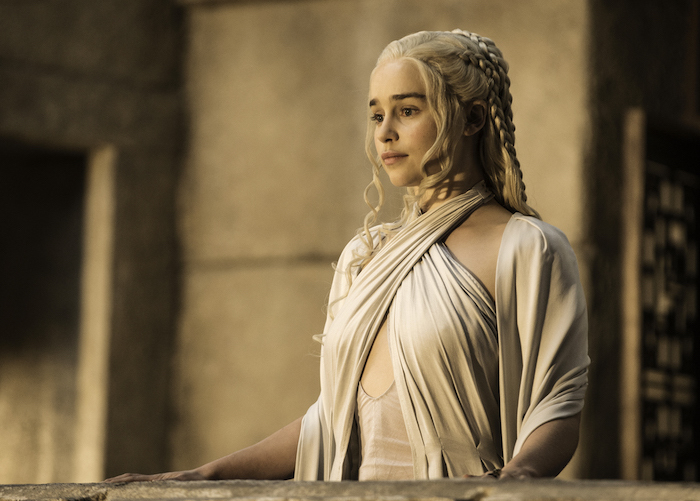 After freeing the slaves at Meereen, Daenerys takes residence along with her dragons in the former slave city. Croatia’s second largest city, Split, was once a province of Rome, and was chosen by Emperor Diocletian as a nice spot for his retirement home. The emperor spared no expense creating his sprawling fortress home, importing marble from Italy and even a sphinx from Egypt. The ruins of the palace are some of the best preserved, and designated a UNESCO World Heritage Site. Don’t expect a dusty monument, though, the palace is the bustling heart of the city, and contains shops and homes within its fortress walls, now seamlessly merged with the modern city centre. 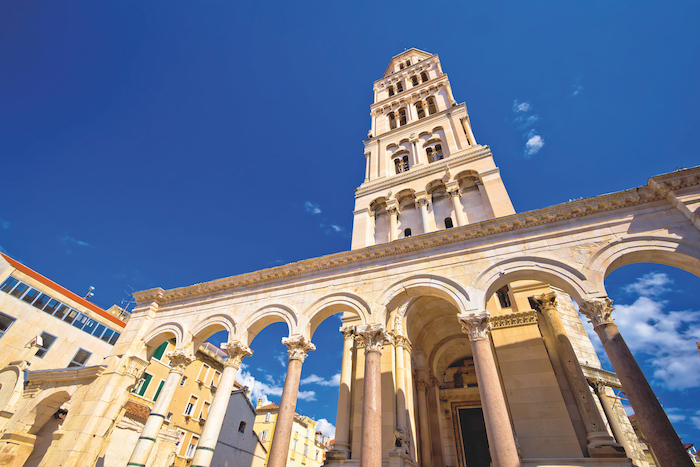 Marella Cruises offers a wonderful voyage to some of the iconic cities lining the Adriatic. 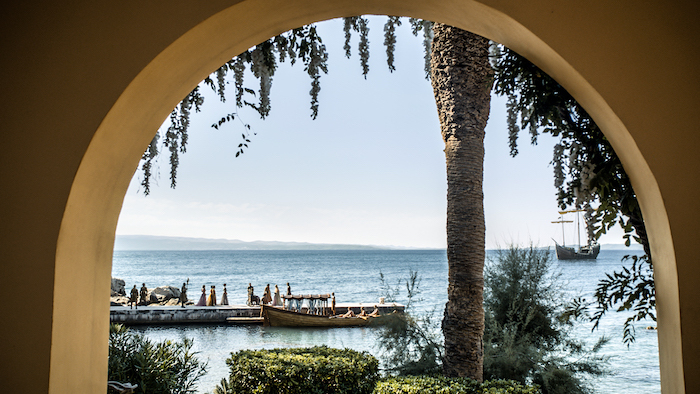 From Naples, perfect for exploring breathtaking Pompeii, the city frozen in time, or the glamorous resort island of Capri, the cruise visits Split before sailing north to romantic Venice, where there’s time to explore the sites by gondola, or go behind the scenes at a glass factory in Murano. Ancona is a little more off-the-radar, but deserves to be explored, with its pretty terracotta rooftops and abundant Roman and Greek architectural treasures. 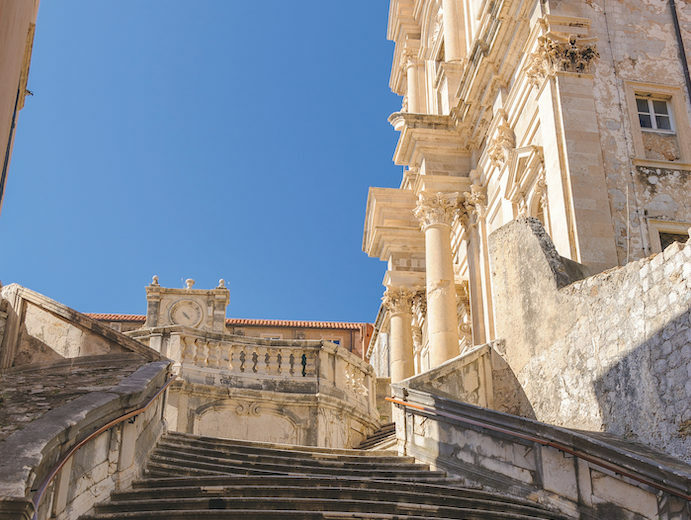 After crossing the Adriatic to Dubrovnik, visit Messina – one of Sicily’s oldest ports, which has changed hands many times, having been occupied by the Romans, Greeks and Normans down the centuries. And this tangle of influences means it’s a fascinating city to explore by bike, or take an excursion to visit Mount Etna, Europe’s largest active volcano. A seven-night Adriatic Splendours cruise on board Marella Explorer 2, departing 1 May, starts from £938pp, based on two people sharing on an all-inclusive basis, including return flights from Cardiff Airport (0203 451 2682; tui.co.uk/cruise). 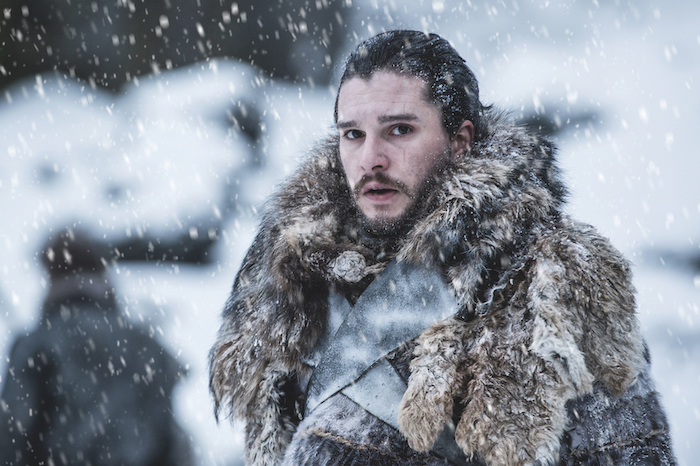 The eighth and final season of Game of Thrones will air on 15 April on Sky Atlantic and NOW TV. For more cruising inspiration, discover your ideal getaway with our cruise finder.